Champagne – Good for toasts but not for teeth. Richview Family Dentistry offers cheers with your bubbly but tips for keeping your smile bright white. 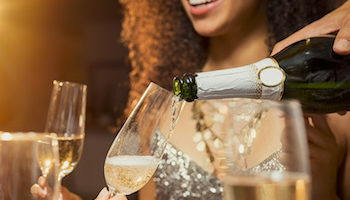 Although champagne is light in color, drinking champagne regularly can lead to tooth discoloration and stains. To avoid staining your teeth, consider drinking champagne with a straw. This will help the champagne bypass your front teeth and thus avoiding the potential for severe stains. Since there is sugar in champagne, it can contribute to tooth decay. As oral bacteria feed on sugars caught on the surface of the teeth, this can lead to the formation of cavities and the weakening of your teeth. Brushing and flossing is always a great way to prevent tooth decay, so after having champagne, brush and floss your teeth to avoid doing damage to the tooth enamel. The bubbles in champagne can also lead to problems with tooth structure. The carbonation creates a higher level of acidity in your mouth. When your oral pH is more acidic in nature, it can cause weakening and softening of the tooth enamel. This is known as acidic erosion or tooth erosion. To help reduce the acidity of your mouth, rinse your mouth out with water after having champagne. If your teeth become stained or discolored, teeth whitening treatments can help. For severe stains that don’t respond to teeth whitening, porcelain veneers may be best. For tooth decay or damage done to the structure of teeth, it is always best to see your dentist as soon as possible to determine the best dental restoration. 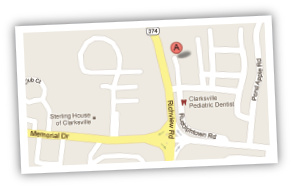 If you need any of these services, make an appointment with Richview Family Dentistry. And don’t worry, we know how busy you’re going to be during the holiday, so we’ll send you a reminder. Call to make an appointment (931) 647-2243.